Below are galleries of photos from the last three years of our doggie day out. We should warn you - once you start, it's hard to look away - it's all too gorgeous. A big thank you to our wonderful pupper photographers, Audrey Dalton, Mark Stedman, Aisling Finn, Philip Murray, Charlotte Lachaussee, Caitlin De Grief and Leo Byrne. 12/10 for making us all look fantastic! Aisling Finn is a Dublin based photographer who loves dogs. She has always gravitated towards animals and loves capturing the unique connection between pet and owner, as well as the energy and charm of an animal. When she's not taking photos of animals, she shoots family sessions, weddings, live music and events. Loving her work! Contact Aisling through her beautiful website: aislingfinn.com and click on the image above to see the full gallery. After years of working in various photographic studios across Dublin, Philip decided to set up Philip Murray Photography in 2013. As dogs are his other passion in life what better way to get the best of both worlds than to photograph them! Growing up with dogs his whole life and the proud owner of two dogs, Charlie (Jack Russell) and Zero (Pointer), Philip can't even walk past a dog without stopping to meet them. Join the club! Click on the image above to see more gorgeous Doggie Do shots from Philip. 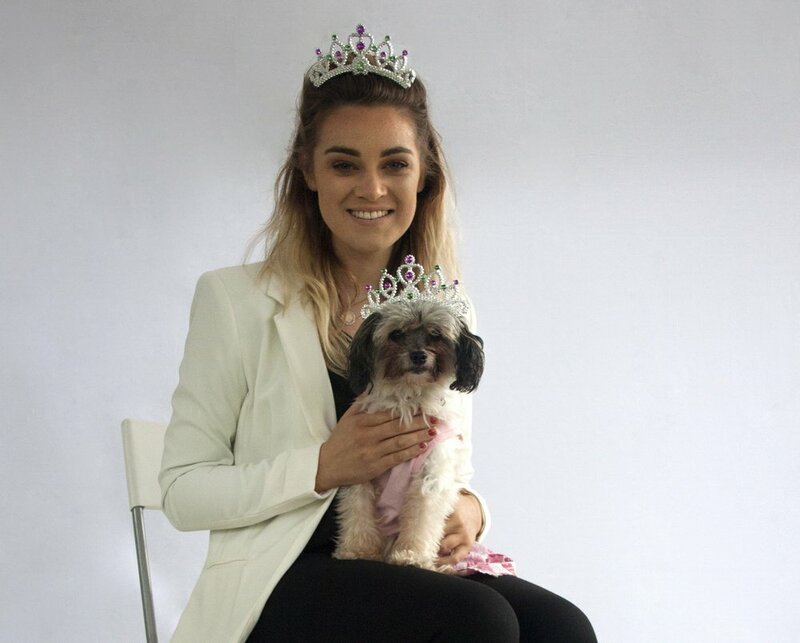 CHARLOTTE LACHAUSSEE at THE DOGGIE DO with DOGS TRUST 2017Charlotte and her best-fur-friend Parker P were runners-up on the Dog of Dublin 2016 so we thought they would make a great photography team for 2017 and they certainly did a wonderful job of capturing the atmosphere on-site!Here's what Charlotte told us... "My name is Charlotte Lachaussee and I am a 22 year old portrait photographer. I have been fascinated by photography growing up and have really gotten serious about it within the last 2 years. I take portraits of people, but now with this chance to take pictures of dogs for the whole day at The Doggie Do I am questioning why I take pictures of humans. I share my work on Facebook and Instagram if you want to go and have a look just type my name in either social platform." Click on the image above to see the full gallery of Charlottes shots from the day. Our look-alike competition was photographed by Audrey Dalton of Pawtrait.ie The results are priceless! The winners (as voted by our Facebook followers) were Scherzo, Pepino and their family. Sweet! Click on the image to see the full gallery! THE DOGGIE DO with DOGS TRUST 2016 was our second ever festival. We had a wonderful day and all the action was captured by Audrey from Pawtrait.ie and Mark Stedman. Thanks guys! Click on the pic above to see all the images. Our 2016 Look-alike competition was captured by the lovely Caitlin de Grief. Laura & Roxy won with their sweet princess double-act ... So cute! LEO BYRNE shoots THE DOG OF DUBLIN 2015 WINNERS!